I spent some time with a high school drama class as they prepared for their production of Les Miserables. 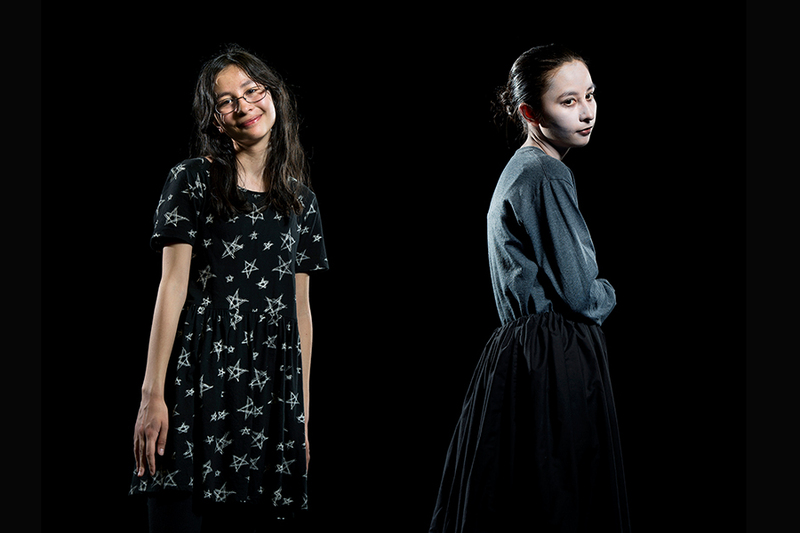 The Globe and Mail’s Arts department ran the story over an 8-week period – here is a selection of some personal favourites that include before-and-after portraits and lots from back stage. 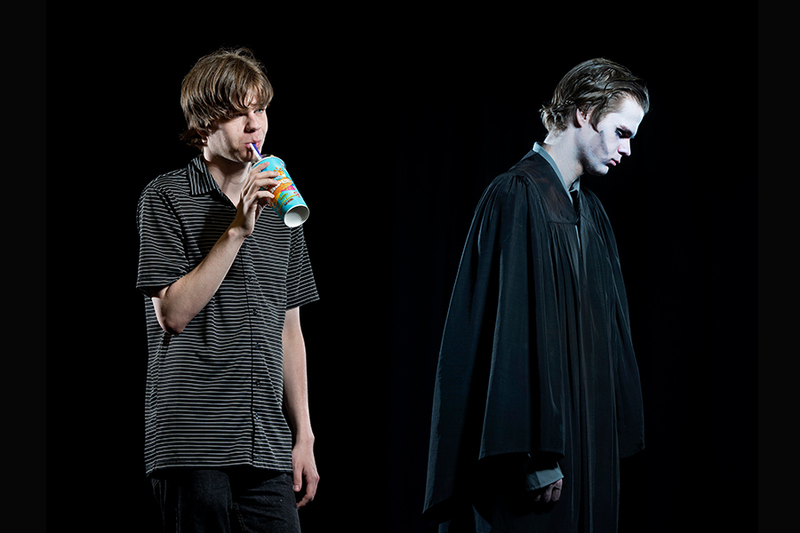 Lakeshore Collegiate Institute Grade 12 student Cory Wagar. 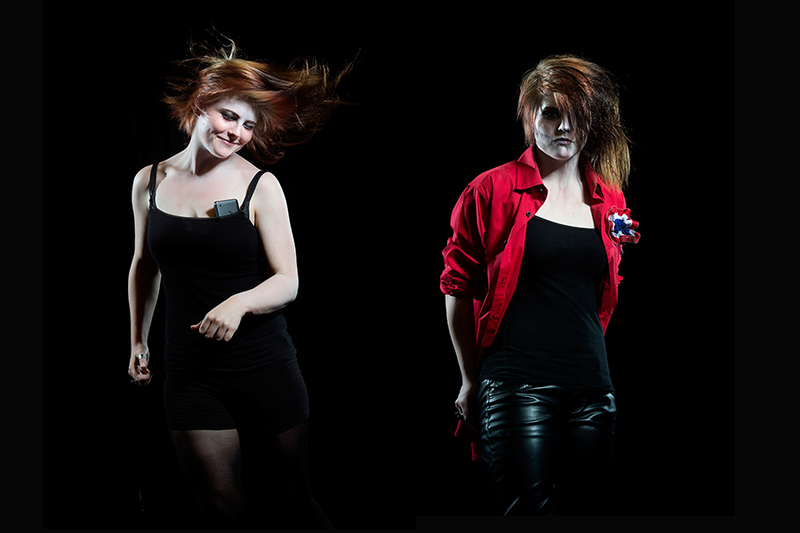 Lakeshore Collegiate Institute Grade 12 student Jenna Searon. Lakeshore Collegiate Institute Grade 12 student Olivia Costes. 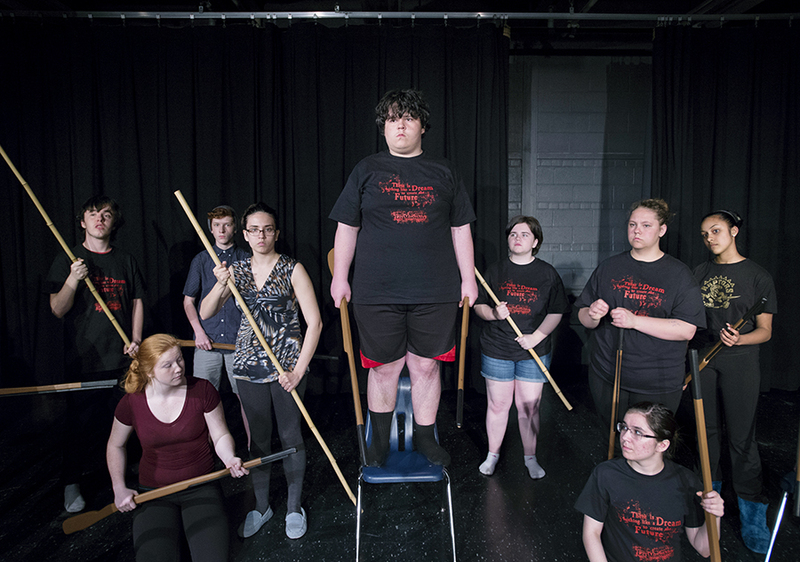 Nick Latincic, centre, uses a chair as a substitute for the top of the barricades as the cast waits for direction during rehearsals at Lakeshore Collegiate Institute in Toronto. 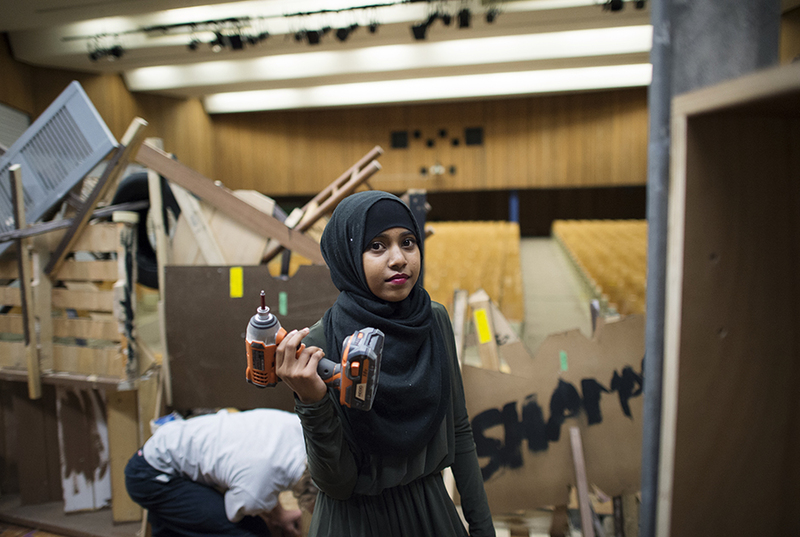 Lamisa after drilling support pieces into the set at Lakeshore Collegiate Institute in Toronto. 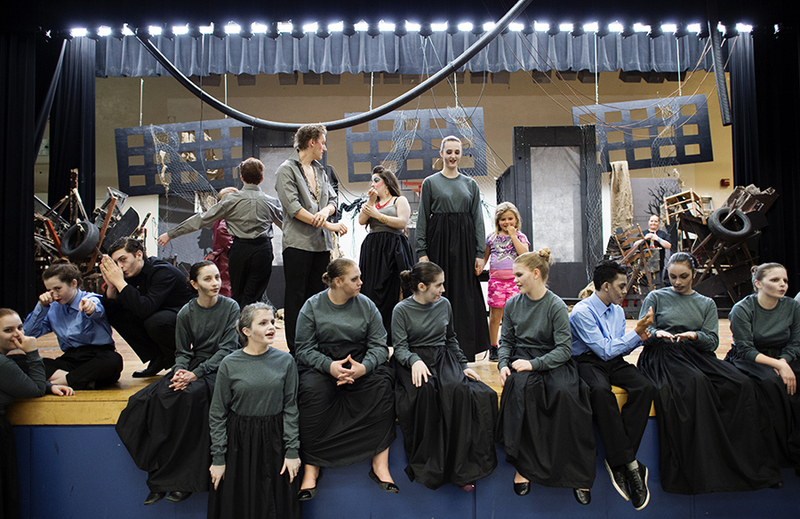 Students wait for the warm-up to begin before the first dress rehearsal at Lakeshore Collegiate Institute in Toronto. 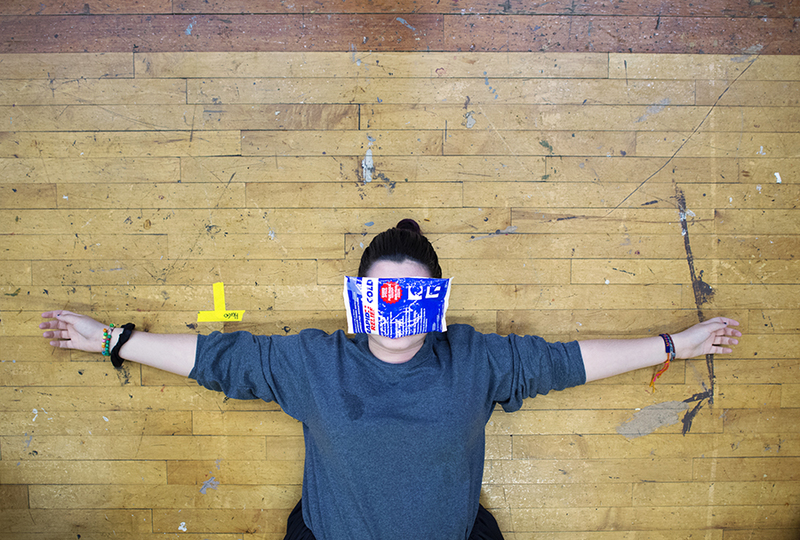 Kreashyn Da Silva lays on the stage before the first dress rehearsal with an ice pack on her face after a reaction to the face paint at Lakeshore Collegiate Institute in Toronto. 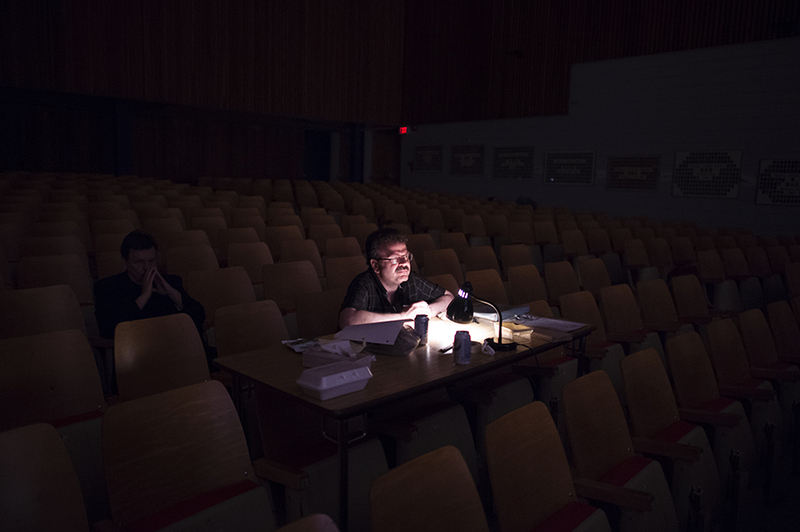 Dramatic arts teacher Greg Danakas watches the first dress rehearsal at Lakeshore Collegiate Institute in Toronto. 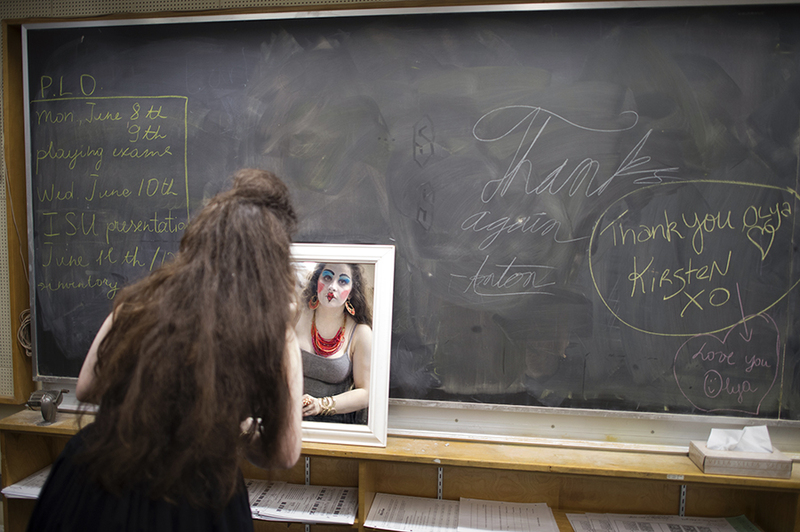 Samantha Dodds does one last check in the mirror before walking on stage on opening night at Lakeshore Collegiate Institute in Toronto. 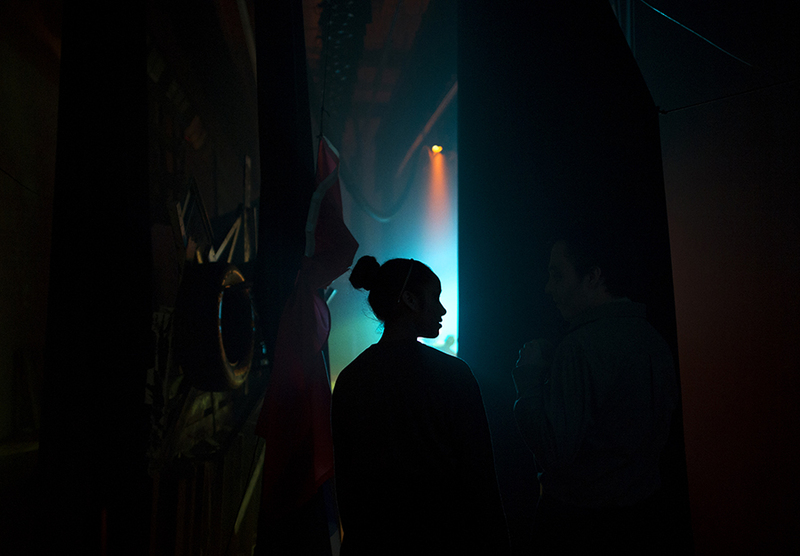 Reiana Ramdeen is silhouetted behind the stage while waiting for her cue on opening night at Lakeshore Collegiate Institute in Toronto. 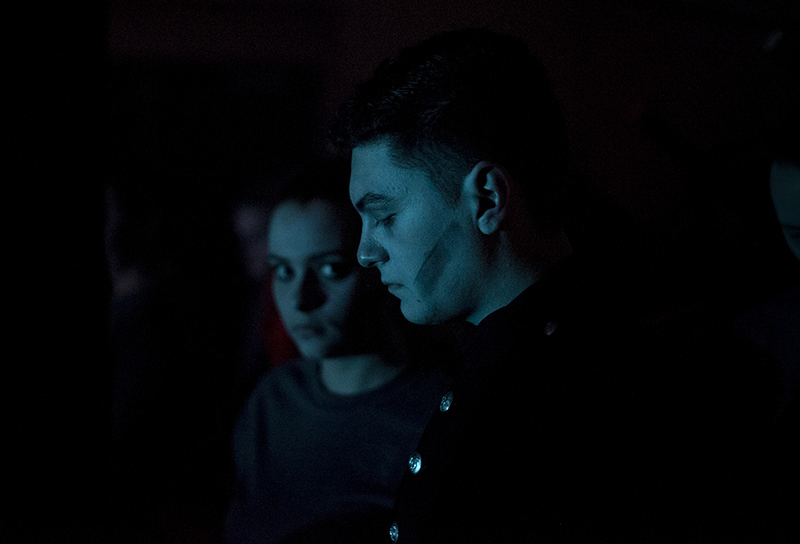 Gabriel Valencia, right, and Hilliary Lyn wait behind the stage before the first scene on opening night at Lakeshore Collegiate Institute in Toronto. 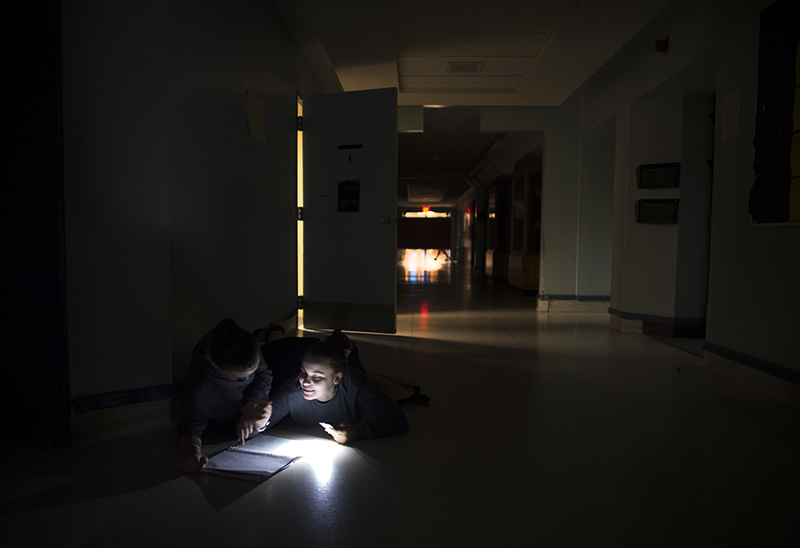 Hilliary Lyn, right, writes her graduating speech with Faye Schatz in the hallway between scenes on closing night at Lakeshore Collegiate Institute in Toronto. An emotional Gabriel Valencia receives a kiss from his father Antonio following the performance on closing night at Lakeshore Collegiate Institute in Toronto. Tissue gathers on the laps of the cast while listening to the emotional speeches by graduating students at the cast party in the basement of the Alderwood United Church in Toronto. 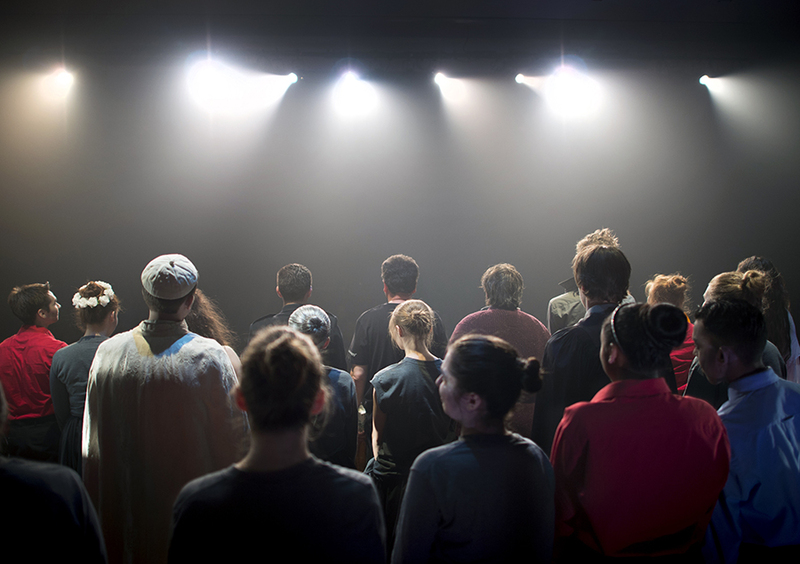 The cast stands together on stage for their curtain call on closing night at Lakeshore Collegiate Institute in Toronto. Here are a few favourites from the inspiring Parapan Am Games. 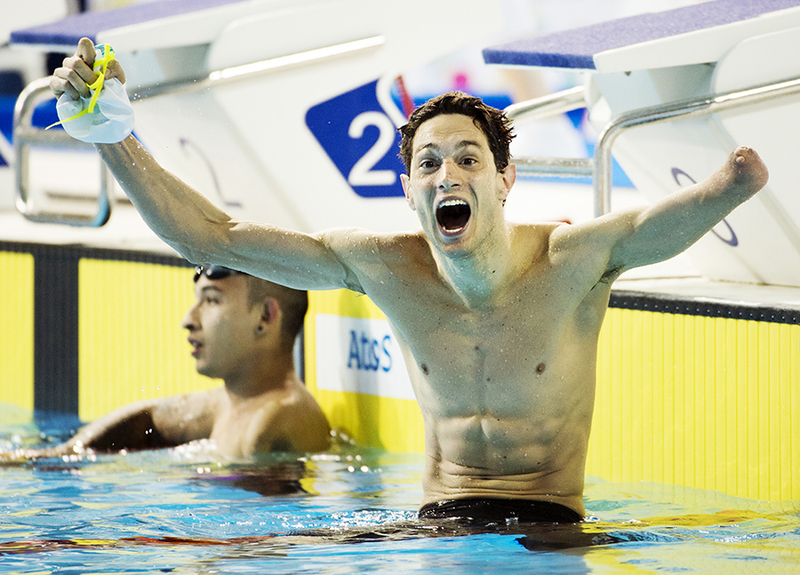 Facundo Lazo, right, of Argentina, celebrates winning the gold medal in front of silver medalist Armando Andrade, of Mexico, during the men’s 100m breaststroke SB8 final at the Parapan Am Games in Toronto. 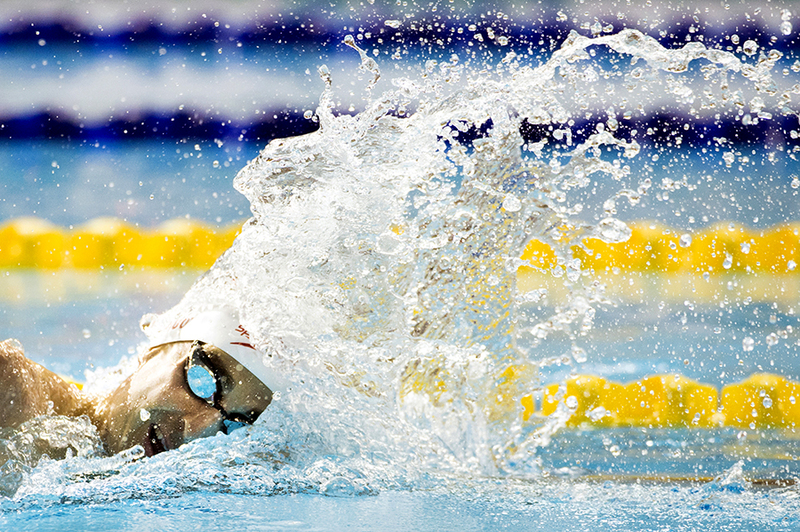 Benoit Huot, of Canada, competes on his way to winning the gold medal in the men’s 400m freestyle S10 final at the Parapan Am Games in Toronto. 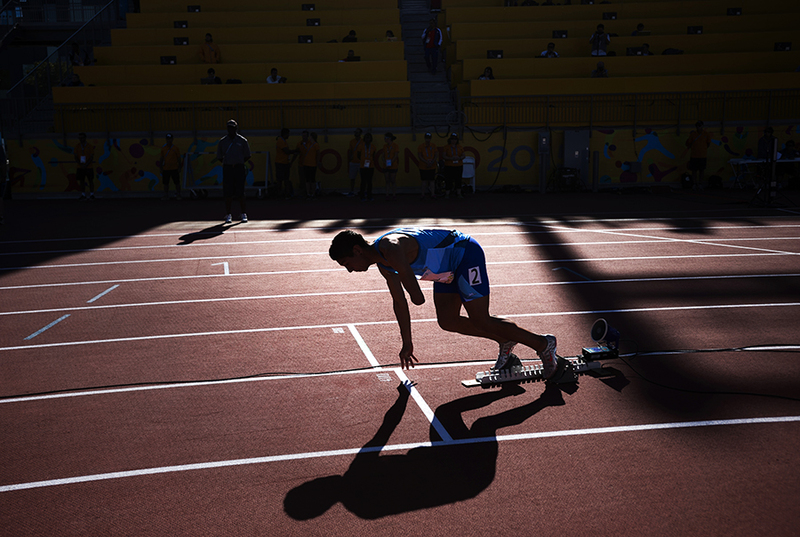 Braian Villarreal, of Argentina, is silhouetted leaving the blocks at the start of the men’s 400m T47 final at the Parapan Am Games in Toronto. 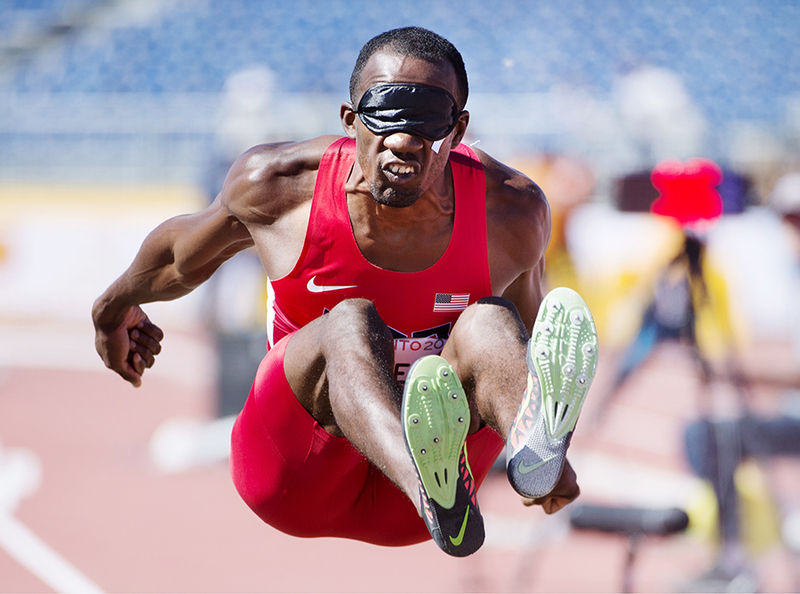 Elexis Gillette, of USA, competes on his way to winning gold in the men’s long jump T11/12 at the Parapan Am Games in Toronto. 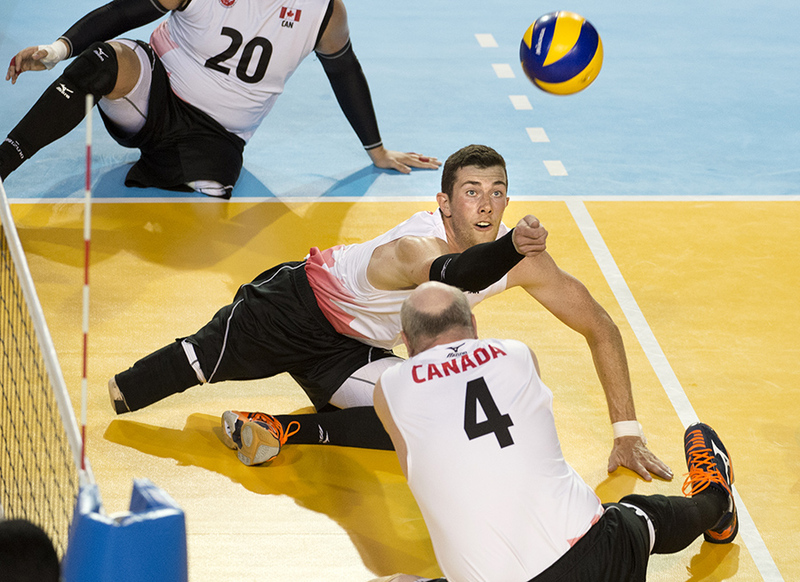 Canada’s Doug Learoyd, centre, reaches to dig the ball during sitting volleyball semifinal action against the USA at the Parapan Am Games in Toronto on Thursday, August 13, 2015. 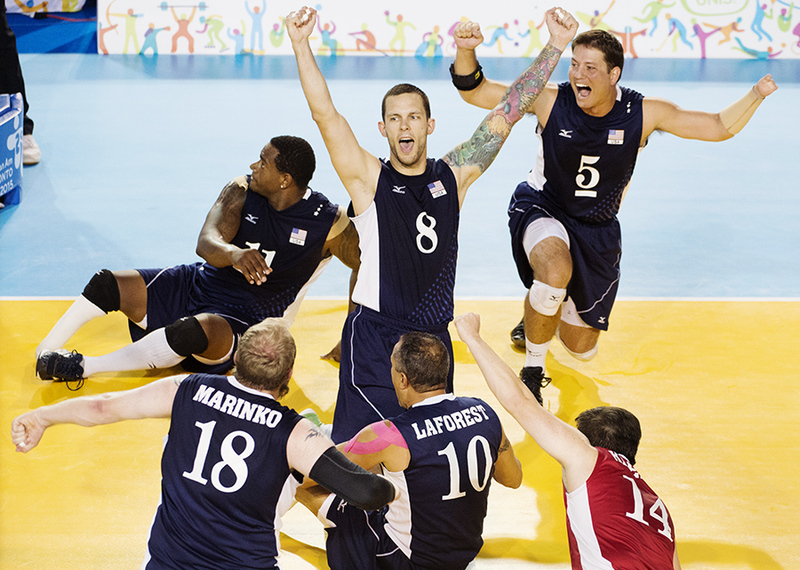 Members of team USA celebrate winning a set over Canada during sitting volleyball semifinal action at the Parapan Am Games in Toronto. 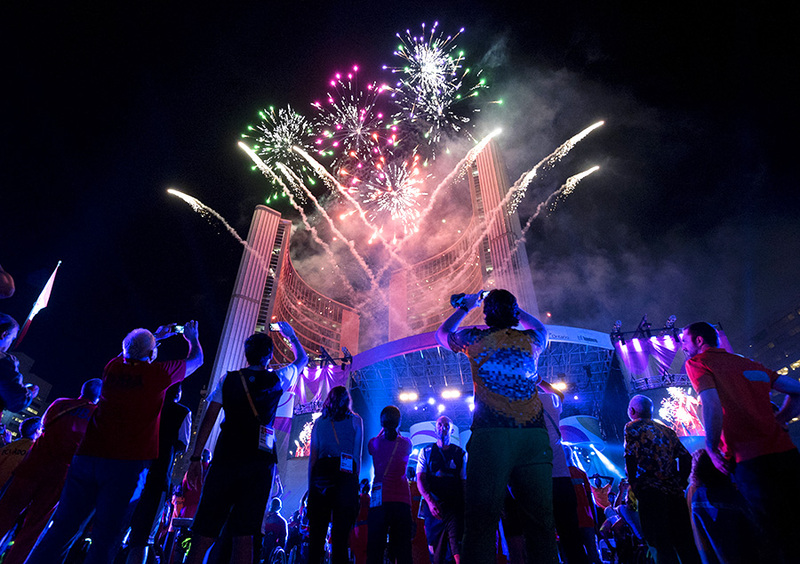 Athletes watch a fireworks display during the closing ceremony of the Parapan Am Games in Toronto.